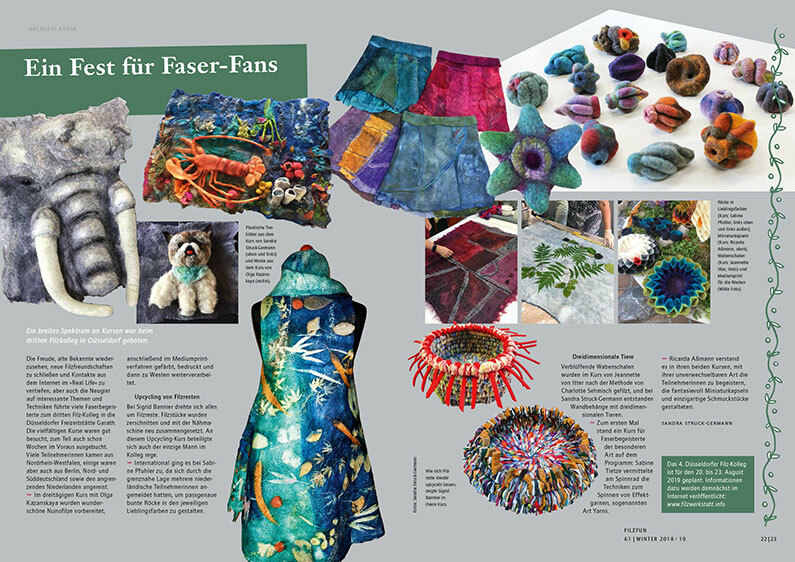 It is hard to say during which season feltmaking is more fun: Outside in the summer or inside in winter, when the days are shorter and when you can let your thoughts roam freely around the felting table. 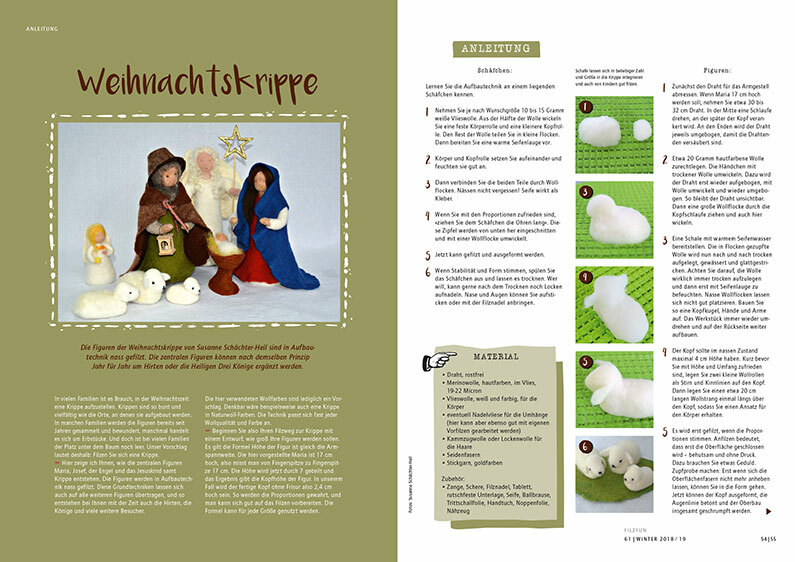 Susanne Schächter-Heil offers a strong argument in the winter filzfun to get water and soap on the spot: With the help of many photos she describes how a nativity scene, complete with the Holy Family, shepherds and sheep can be wet-felted in the build-up technique. 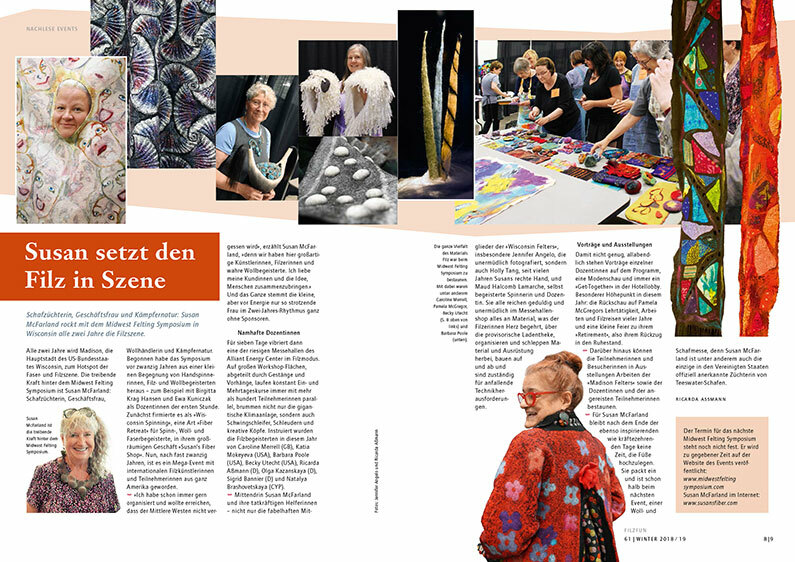 Also we can look over Kinga Huszti’s shoulder when she explains how her most delicate, life-like leaves for interior decorations, such as for tables or windows, are felted. Her artistic renown, however, stems mostly from her extravagant millinery. 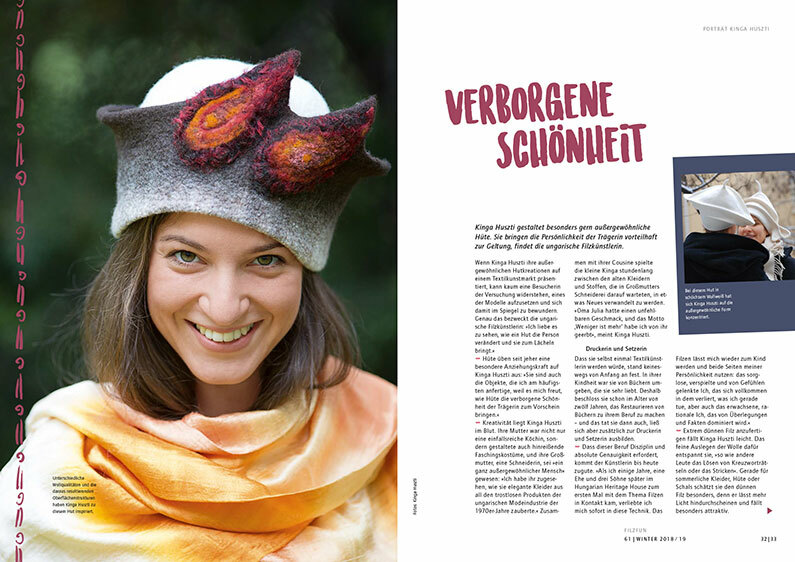 In the filzfun winter issue you also get to know two other felt artists, Elisabeth Paul, who combines felt and photography in an astoundingly beautiful way, und Iveta Hruscova, who is a skilled designer of unusual felt fashion. welcome in this context should be the great number of courses and workshop offered that are collected in the practical schedule attachment. 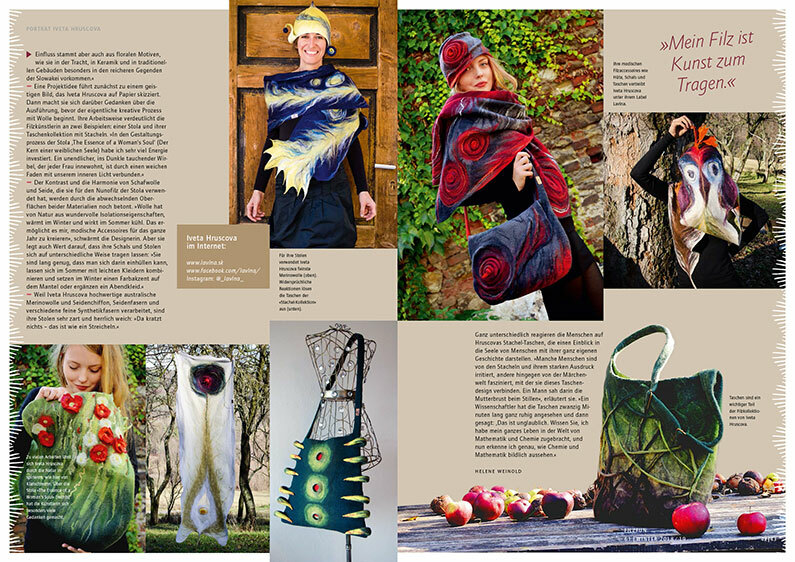 Feltmaking is considered more and more a serious art form in the public understanding. 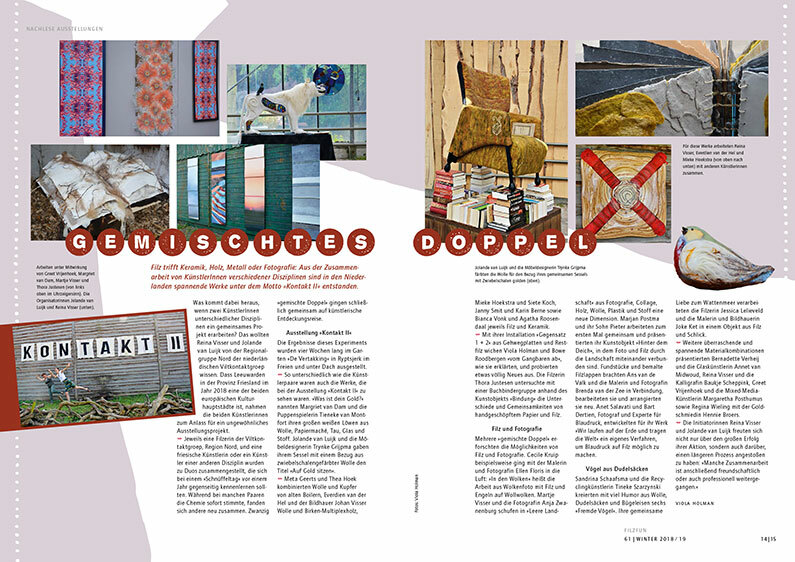 Big exhibits like »Schaf trifft Baum« (Sheep Meets Tree) in Austria, Kontakt II in The Netherlands and many other single or communal exhibits play their part in that development. 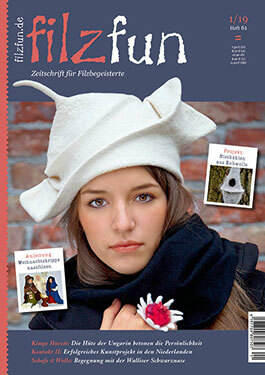 The filzfun Nr. 61 reports back from some of these events. 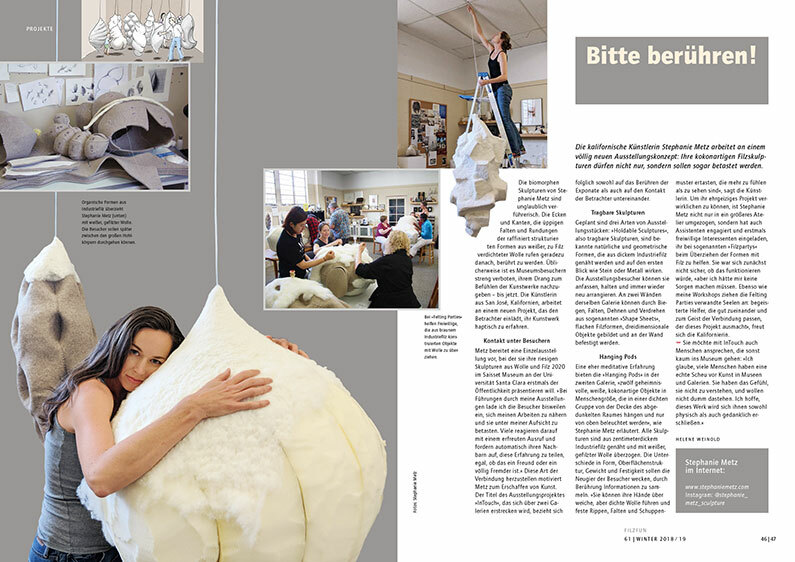 Stephanie Metz, an artist from California, stages a very special show: At the so-called »Felting Parties« she encases huge hollow vessels that are sewn from thick industrial felt in white wool felt. Once finished, the public is encouraged to touch them, to enrich their visual impression by haptic contact.